Are You Getting the Most Out of Your Company Values? Does your company have core values defined? If so, why? What’s the expectation for those values? I would hope that it’s so employees will live by them. And yet, this rarely happens in organizations today. So how do you get the most value from your company values? 3. Include your values as part of your annual review process (and let everyone weigh in). Companies like Zappos have long made the company values a key element of the annual review process. Now the opportunity lies in crowdsourcing the review so all employees can weigh in by recognizing and rewarding peers throughout the year for living the values. 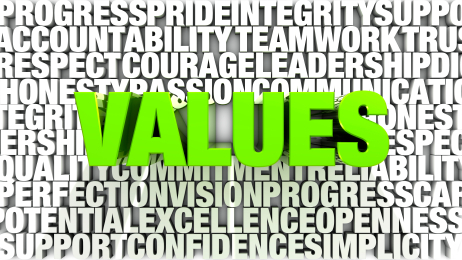 How does your organization get value from your core values?